Just a 5-minute walk from the Sea of Galilee, this guest house offers air-conditioned rooms with cable TV. Tiberias bus station is 700 metres away. 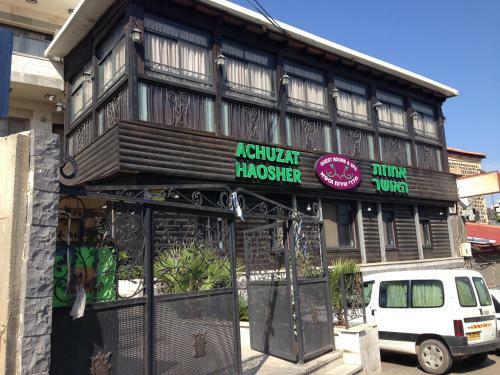 All rooms at Ahuzat Haosher include an electric kettle and fridge. 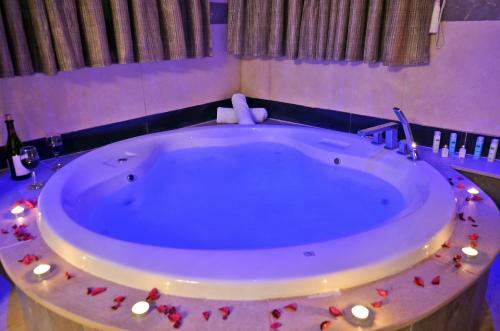 Some feature a hot tub. An Israeli-style breakfast buffet is served daily at the Ahuzat, including eggs, salad, cheese and toast. The guest house is an 8-minute walk from the lakeside shopping centre, and 2 km from the city's thermal baths. Featuring a hot tub. All rooms have elegant wooden furnishings and tiled floors. Includes free Wi-Fi and cable TV. Děti jsou v hotelu vítány. Za použití stávajících postelí pro 1 dítě do 3 let se neplatí. Za dětskou postýlku pro 1 dítě do 3 let se neplatí. Maximální počet dětských postýlek na pokoji je 1. Kapacita přistýlek na pokoji je 0.